Coffee makes the world go ‘round. For many, putting on the pot is the first task of the day. For others, coffee offers an evening warm-up. For many more, it’s a social activity – who doesn’t love to catch up with friends over a cup of joe? When you combine Florida island living, the breathtaking beach, and a variety of cute cafes, you get a recipe for an amazing coffee experience. Where are the best coffee shops in Anna Maria? While regular drip coffee might be acceptable at home, you’ll want something special while on vacation. Fortunately for you, our guide will help you learn where to buy coffee in Anna Maria. You can spend a lot of time talking about what makes Ginny’s & Jane E’s Cafe and Gift Store so special without even discussing the coffee. The colorful décor and frenetic attitude make this place a blast to visit. You feel both at home and on another planet when you step into the shop, which is both cafe and gift store in one. Fun knickknacks can be found atop the shelves. Paintings from local artists line the walls. Odd and often mismatched decorations and antiquities are everywhere. Ginny’s & Jane E’s Cafe and Gift Store screams character. Oh, and there’s coffee. Aside from espresso-based drinks, you have cinnamon rolls, spinach quiche, fresh-baked pastries, and, of course, their famous strawberry pie. Island Coffee Haus, on the other hand, is largely focused on the art of a good cup of joe. You have an assortment of coffee styles available using a mixture of blends, incorporating Colombian, Mexican, and Puerto Rican. The menu has regular coffee, espresso, and various blended coffee drinks. You can complement the coffee with some simple breakfast selections, including oatmeal, bagels, and assorted pastries. Finally, if you want something other than a coffee or a breakfast treat, you can try a smoothie, some tea, or a fresh, cold-pressed green juice. There are two island locations, one in Holmes Beach and the other on Pine Avenue. Both shops also sell cool gifts, like jewelry, local art, and glassware. This café has some of the best donuts in Florida, but their coffee is also worth the trip. Here, you’ve got all the staples, including hot and iced lattes, cappuccino, espresso, cold brew, and old-fashioned hot coffee. 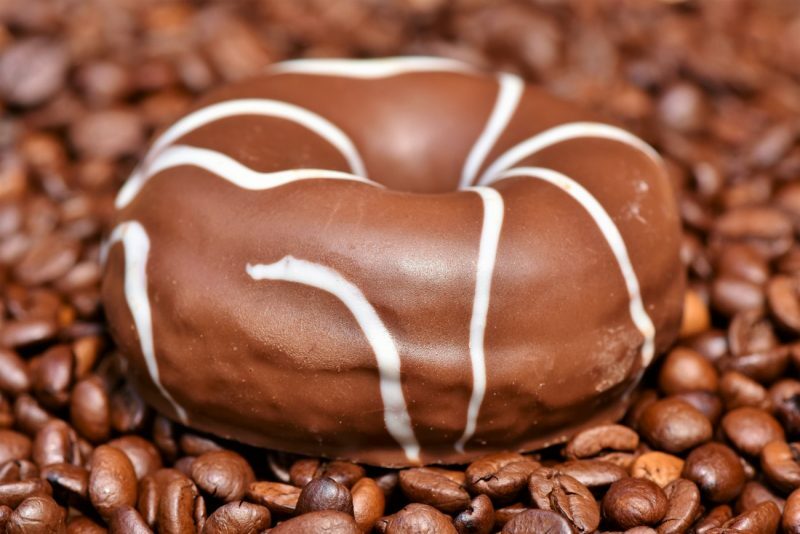 Try your coffee with a little something sweet: one of their topped, drizzled or dipped donuts. These creations are made to order. Choose from six icing types, about 20 toppings, and a variety of base types. If you want to hear more about the donuts, you will have to step into this magical café and experience it for yourself. For a friendly sit-down experience, you should visit the Anna Maria Island Beach Café. There’s a full coffee bar, so you are likely to find anything you may need to round out your day. You can also get tropical cocktails, a bowl of ice cream, and some American lunchtime staples, like burgers and tuna sandwiches. If you want a familiar tasting coffee, you have some options as well. You may be more comfortable with at-home favorites, like Starbucks and Dunkin Donuts. There is a Starbucks in nearby Bradenton and a Dunkin Donuts right in Holmes Beach. You won’t have to head far from one of our beachside vacation rentals to find what you need. Whatever you do on Anna Maria, start your day with a great cup of coffee.